WRTI's Big Band Kick-Off to Summer on Memorial Day Weekend! 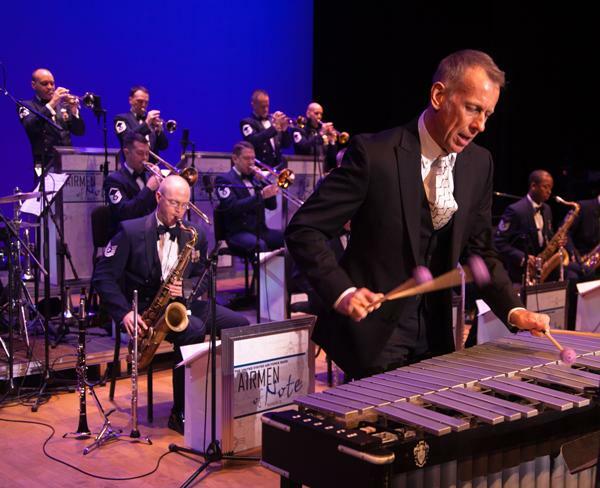 Vibraphonist Joe Locke performs with the Airmen of Note on WRTI, Sunday, May 25 at 9 pm. Memorial Day is known as the unofficial start of summer, but was established to honor fallen troops who gave their lives for our country. Join WRTI as we honor both aspects of this holiday weekend. We'll provide the perfect music to fuel your holiday barbeque all weekend long, featuring a type of jazz that - historically - goes hand-in hand with patriotism – Big Band! Jeff Duperon kicks things off on Friday at 6 pm by bringing you a set of new big band releases, and will do so at the top of each hour during his evening shifts. He'll also feature pieces of a concert broadcast by The Airmen of Note and some featured artists. 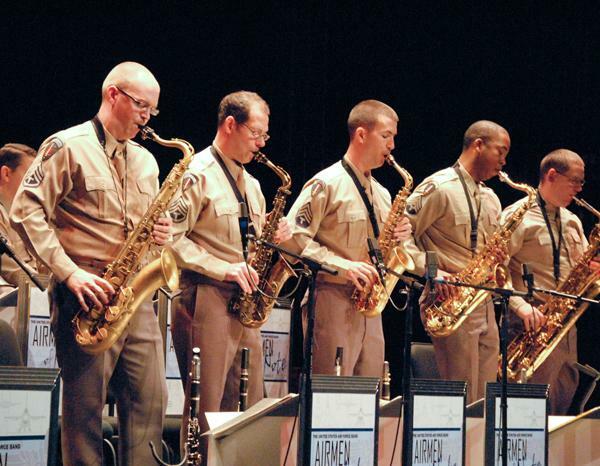 The Airmen of Note is the premier jazz ensemble of the United States Air Force. And every year they record concerts specifically for radio. On Friday at 7 pm, you can hear the Airmen perform with trombonist Andy Martin. Saturday at 7 pm, Roberta Gambarini will be singing along with the band, and on Sunday at 9 pm, vibraphonist Joe Locke will be their featured guest. These programs are the perfect mix of time-honored tradition and modern jazz. On Sunday at 7 pm, join Bob Craig for his Big Band Jazz show as he features big band tributes to Miles Davis, in honor of the anniversary of Miles' birth. Quite a few big band leaders have included Miles tunes in their repertoire, such as Maynard Ferguson's arrangement of Four, and Harry James and his band playing Walkin'. Tune in to hear even bigger versions of Miles' compositions as you chow on a big burger on Sunday night. During the overnight hours you'll get a set of big band – old and new - at the start of every hour. From Basie and Kenton, to Clayton and Hamilton, you’ll get a nice bit of nostalgia while learning something new. We’ll even throw in a few vocals!